Cristy Kettering’s success in inspiring and equipping individuals to lead themselves and their organizations effectively comes from her extensive John Maxwell training, her degrees in psychology, education, and theology, and her professional experiences in communications, marketing, media, education, sales, and development. Her passion is to help leaders grow personally and professionally so they can create positive, fun, and productive environments--cultures where those they lead can experience deep joy and satisfaction from discovering and developing their passions, purpose, strengths, and skills. In addition to her part-time coaching, Cristy serves as Vice President of Development for Strong Tower Christian Media, has participated in The John Maxwell Foundation's Country Transformation Initiatives and facilitated Round Tables in Paraguay(2016) and Costa Rica(2018), and is an active board member of Her Story, Inc., a faith-based non-profit which provides transitional housing and emotional support to women battling drug and alcohol addition. For more information about Coach Cristy visit her website here. Kelly Shank, certified professional and personal growth coach, helps busy individuals and organizations rapidly achieve better professional, personal, and relational health through speaking engagements and creative mastermind groups, both online and in-person. Her passion is to inspire women, teens, and children to not just survive, but instead to enjoy a rich, vibrant, fulfilling life by focusing on intense personal growth. Get her upcoming class schedule and 50% off any upcoming mastermind class by email at kellyshank.johnmaxwellteam@gmail.com. Amanda Dole is a certified leadership coach, facilitator, and speaker. A heart-led servant leader, she is gifted at making intentional connections of people and ideas that drive organizational and personal growth. She is a champion for transformational leadership - leadership that causes positive, meaningful, and lasting change. After a decade of experience in sales, business development, and talent acquisition, Amanda had a life-changing epiphany that caused her to shift direction and pursue her passion of coaching, consulting, and developing leaders. As a coach, she comes alongside leaders and helps them to develop clarity, articulate a vision, and create a plan to move forward, growing themselves and developing the people they lead throughout the process. 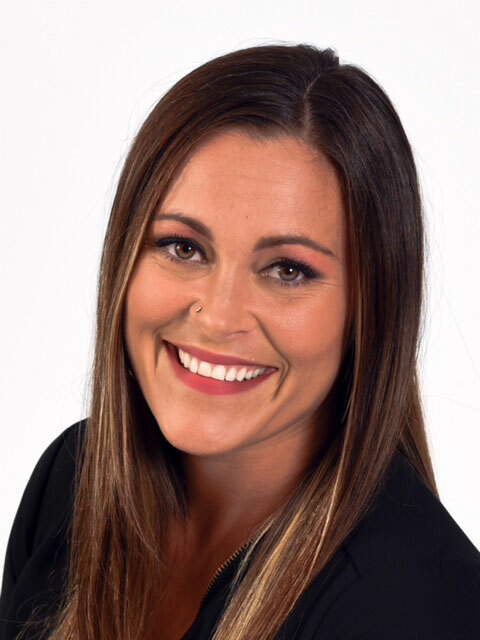 Amanda received her leadership certification through the John Maxwell Team, holds a bachelor's degree in Leadership & Ministry from Cincinnati Christian University, serves as a board member of the Positive Influence Team, and is an active volunteer for international non-profit Kairos Prison Ministry. Leah Sparling resides in Bellbrook with her husband, and they have three beautiful daughters. She has worked as a professional on/off screen talent and voiceover for over 10+ years and serves on the production and pastoral counseling teams at Southbrook. Leah is passionate about leadership and ministry.